The 68th British Academy Film Awards (BAFTA) were held a few days ago at the Royal Opera House. The event attracted plenty of gorgeously-dressed celebrity guests including a stunning Julianne Moore dressed in a red Tom Ford gown and and holding the award for Best Actress won with Still Alice, the emotional story of a woman struggling with Alzheimer's. The beautiful Léa Seydoux stood out in her bright yellow dress by Prada, a pregnant Keira Knightley looked her best in Gianbattista Valli Couture, as did Reese Witherspoon in Stella McCartney, Natalie Dormer in Sophia Kah and Felicity Jones in Christian Dior Couture. And it's just Felicity's partner, Eddie Redmanye, the winner of the Best Actor award for his role in The Theory of Everything, which also happened to be nominated Outstanding British Film. The most prestigious title of Best Film went instead to Boyhood by Richard Linklater, who takes home also the award for Best Director. 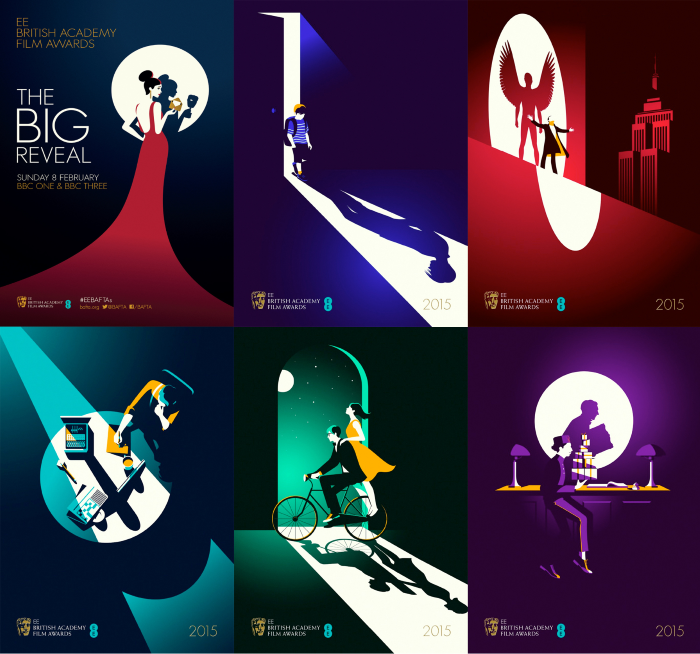 Runner ups The Theory of Everything, The Imitation Game, Birdman and The Grand Budapest Hotel have been honoured with beautiful neonoir/minimal posters by creative agency Human After All and talented illustrator Malika Favre. Finally, here's the list of all the BAFTA winners... and now it's time to start thinking about the Oscars! Qualche giorno fa alla Royal Opera House di Londra si è tenuta la 68esima edizione dei British Academy Film Awards, la celebre cerimonia degli oscar inglesi. Tantissime erano le celebrities presenti, tra le meglio vestite: una sconvolgente Julianne Moore in un bellissimo lungo abito rosso di Tom Ford che si è guadagnata il titolo di Miglior attrice protagonista in Still Alice, dove interpreta una donna affetta da Alzheimer. Bellissima anche Léa Seydoux che osa un lunghissimo abito giallo Prada, Keira Knightley in dolce attesa che sfoggia uno splendido vestito fiorito Gianbattista Valli Couture, Reese Witherspoon in viola Stella McCartney, Natalie Dormer in Sophia Kah e Felicity Jones in Christian Dior Couture. É proprio Eddie Redmanye, compagno di set della bellissima Felicity a vincere il premio come miglior attore protagonista nel film La Teoria del tutto, vincitore anche come miglior film inglese. La Teoria del Tutto, The Imitation Game, Birdman e Grand Budapest Hotel omaggiati comunque dai bellissimi poster in stile neonoir/minimal dell'agenzia creativa Human After All e l'illustratrice Malika Favre. 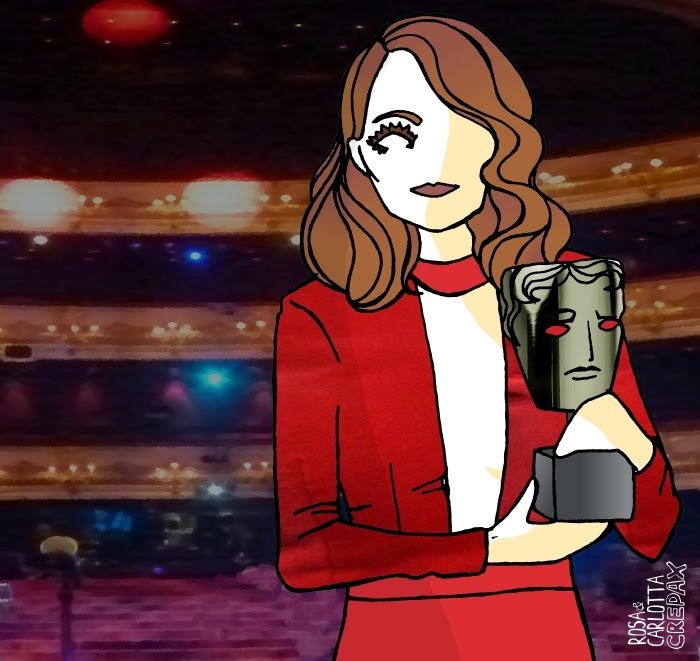 Per finire ecco la lista completa dei vincitori BAFTA, noi già non vediamo l'ora della notte degli Oscar!